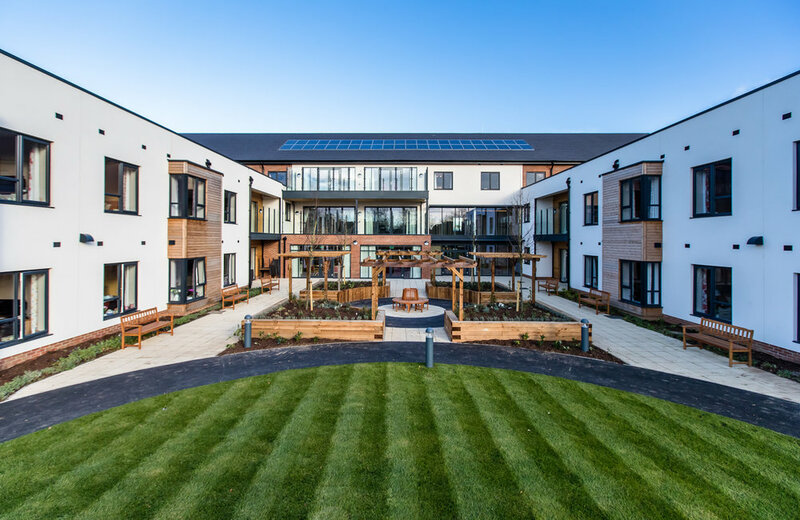 Located on vacant land, this new 76 bed dementia care home was built over 2 and 3 storeys, and was a re-provision project to provide new homes for the client’s existing residents. The main reception leads into the spacious double height ‘Best Friends Café’ area, with coffered ceiling and 3D effect hand plastered casings cleverly disguising the external wall beams. 5 staircases and 2 lifts service the building, with centrally located rooms including clinical, laundry, kitchen, staff changing, therapy and cinema. LTHW heating system with gas fired boilers and CHP boiler serving radiators. VRF simultaneous heating and cooling system. Server room split cooling systems. Domestic hot and cold water services. Mechanical supply and extract ventilation systems.